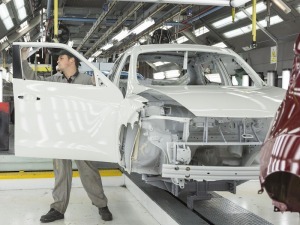 UK car manufacturing output continued to fall in February with a double-digit decline in domestic demand. Production for the home market fell by -17% in February. The data from the Society of Motor Manufacturers and Traders (SMMT) shows UK car manufacturing fell 4.4% to 145,475 units. Domestic demand was down for the seventh consecutive month, with output for the UK down -17.0%. Exports however remained steady, dipping -0.8%, with more than eight in 10 cars heading overseas. Year-to-date output declined -2.3% to 292,956 units, while domestic demand fell -11.9% and exports were up 0.3% on 2017.